We usually have several litters planned each year. 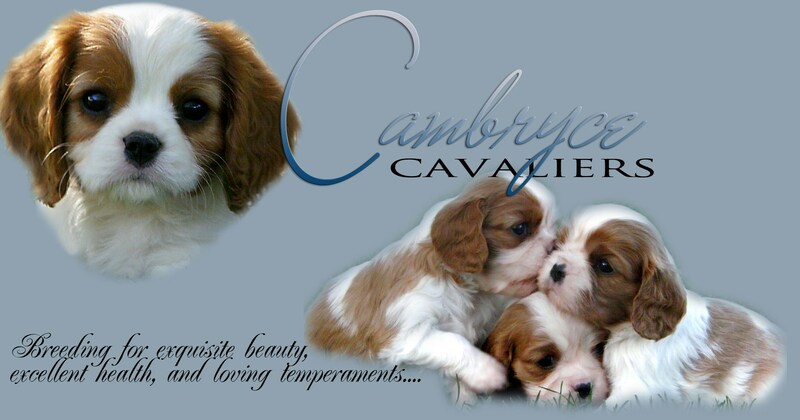 Please EMAIL for more information, CambryceCavaliers@hotmail.com. A non-refundable deposit is required to hold a puppy. Spay/neuter is required for companion puppies!! PLEASE include a little information about your home and family when inquiring about a puppy. Thanks! however you're welcome to visit and pick up your new family member in person. Sorry!